TGI Friday's never fails to surprise, coming up with new creations every now and then. This time around, TGI Fridays, has added unique layers of flavor in two new rib entrées. Available for a limited time only, handcrafted Beef Bacon-Crusted Ribs and Texas-Spiced Ribs build on Fridays’ legendary mastery of meaty, mouthwatering ribs. I had the opportunity to be invited to savour these yummy bites a couple of weeks back. 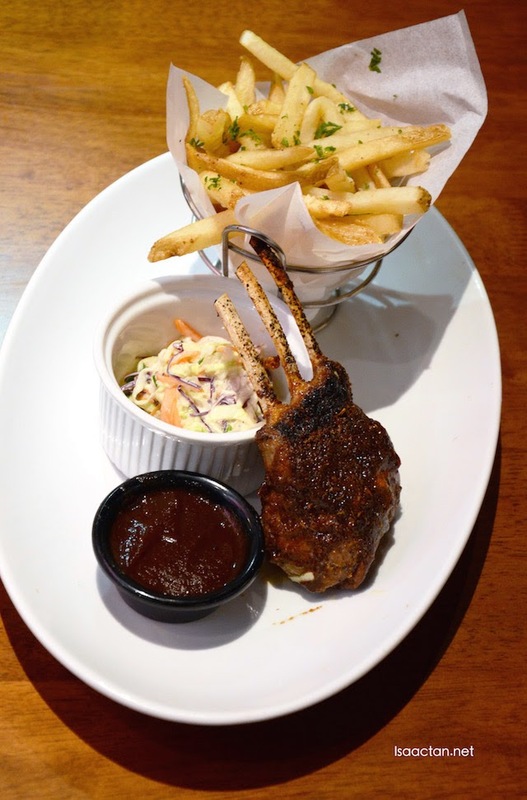 For a limited time, Fridays’ premium rib extravaganza offers Guests two delectable, handcrafted choices, each served with crispy seasoned fries and coleslaw. Their remarkable melding of taste and texture give these fresh, innovative rib dishes the satisfying flavor Guests crave served up with big helpings of Friday’s fun. Being a meat lover myself, I do love a huge chunk of meaty goodness, especially when it has these extra flavoured crusts. 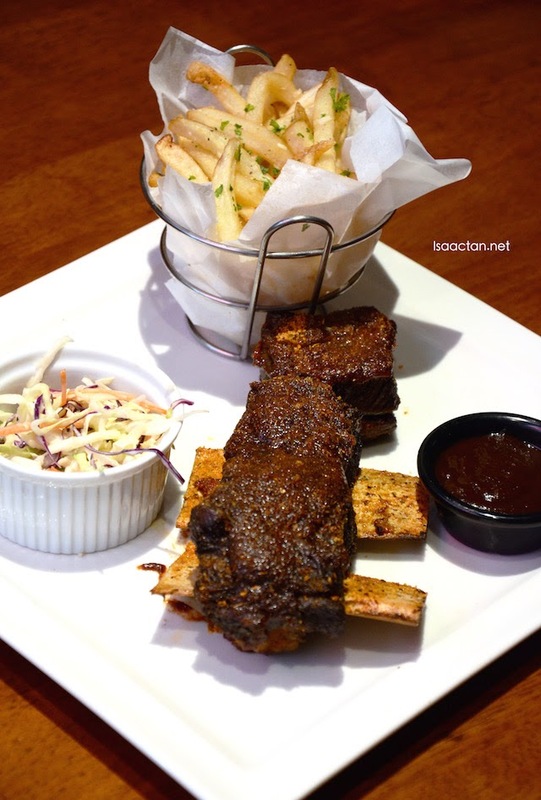 The Texas Spiced Ribs came served as a full rack of ribs, cooked until juicy and tender, made even more delicious as it is fire-grilled and crusted with a flavorful blend of Texas herbs and spices. Pretty good stuff there. I find the new Beef Bacon Crusted Ribs even more delectable and unique as it has these very nice beef bacon sprinkled on the top, giving a crispy texture with each bite. 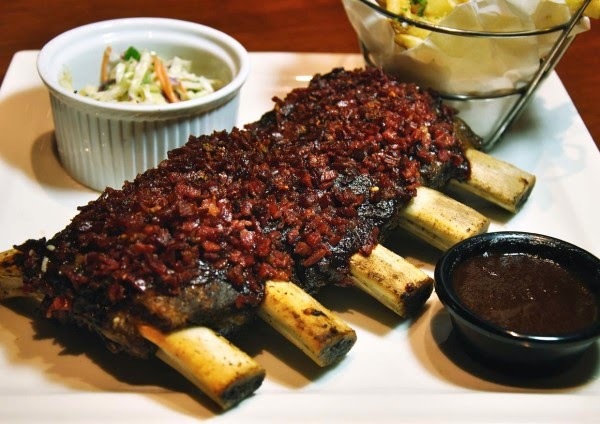 A full rack of ribs cooked to perfection, glazed with tangy BBQ sauce, and crusted with a heaping helping of crispy beef bacon, there is no reason not to like this dish. We ended the very 'meaty' dinner with some sweet dessert in the form of TGI Friday's Brownie Obsession. 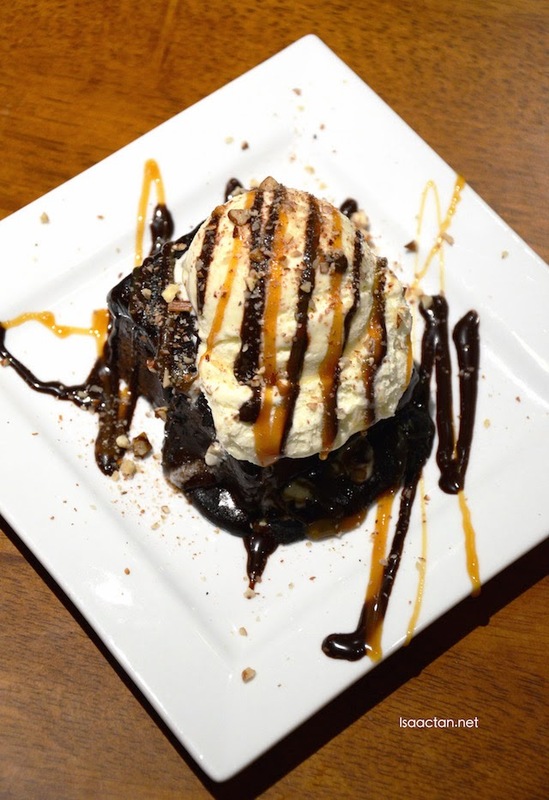 Sweet stuff here, with the warm brownie served covered in chocolate-fudge sauce, vanilla ice cream, caramel sauce and pecans. 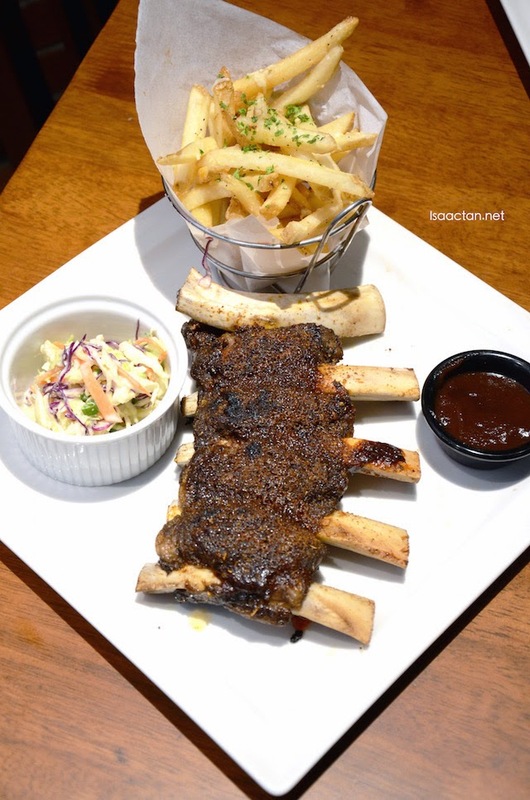 At RM59.90++, there are three different types of ribs to choose from – succulent beef ribs, tender short ribs and luscious lamb ribs, Fridays is set to cater to everyone’s unique palates. Which outlet? I know the guy who runs the one at Paradigm. Miera, I love meaty dishes, steaks and ribs, so for me it was great!